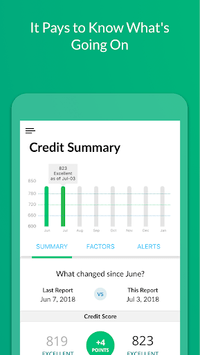 See your credit score, then see what you can do with it, only with My LendingTree. We’ll show you your credit score absolutely free, then create custom recommendations based on your financial profile, to help you save money. Should you use a personal loan to consolidate? Is there a credit card that beats the one you have? Is now the time to refinance? If we find savings, we’ll let you know. We’ll also help you keep an eye on your credit, and send you alerts if anything changes. 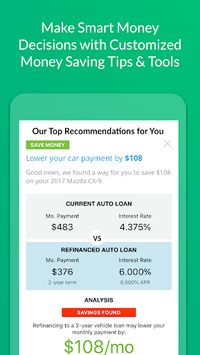 LendingTree.com is America’s marketplace for money—credit cards, mortgages, personal loans, student loans, and so much more. We’ve saved Americans millions over the last 20 years. Download now, and see what you can save. - Custom recommendations: These aren’t one-size-fits-all suggestions. We find products and services that save YOU money, based on your financial profile. - The best way to save: You shop for airline tickets and hotel rooms online, why wouldn’t you do the same for money? 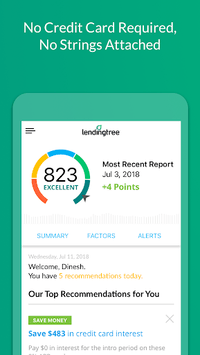 LendingTree makes lenders compete for your business, which means you get the best offers.